2016 RAM 2500 Tradesman Crew Cab. 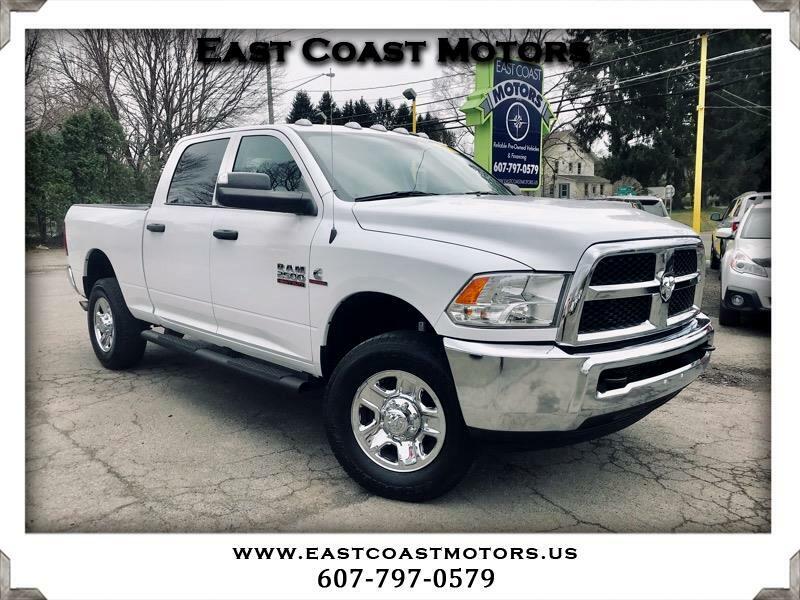 This Ram 2500 has a diesel engine, running boards, back up camera, bed liner, power locks, power windows, keyless entry, and tow package. Creek Road) across from Lowes Home Improvement. NY 13905 next to Nirchi's Pizza. Our staff specializes in financing, please call for more details. Our staff specializes in financing, please call Christopher for more details. Please call for an appointment, or just stop by at 69 Castle Creek Road Binghamton, NY 13901. On the corner of Upper Front Street and US Route 11(Castle creek Road), across from Lowes Home Improvement. Our staff would be happy to answer any of your questions. Please feel free to give us a call at 607.797.0579 anytime.WE FINANCE EVERYONE!